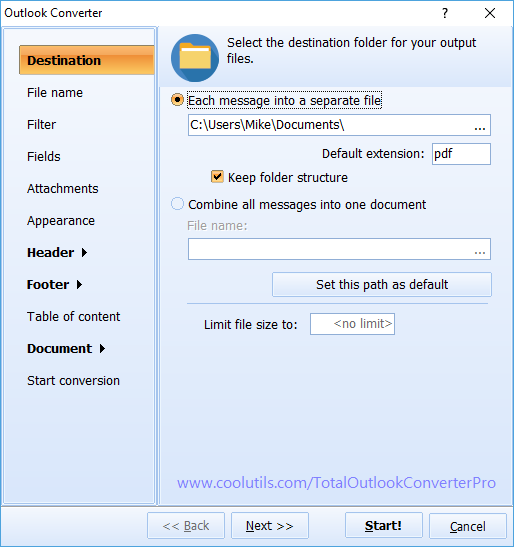 Extracting Outlook emails from a PST file and turning them into images becomes much easier with Total Outlook Converter Pro. It does such kind of tasks automatically, requiring just few minutes of your time. Make the rest of the settings and press "Start!" Pro version gives you a choice of what to do with attachments. You can convert them together with email (the email and attachments will be exported to a single JPEG file). Otherwise you can process them separately. It is possible to add header and footer to resultant copies, as well as adjust paper size. 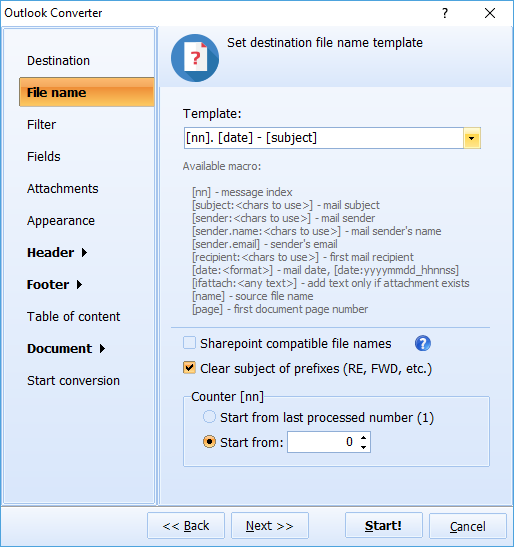 Converting emails from Outlook to JPEG you can export only mail fields you need, skipping the rest. This will make JPEG copies more compact and handy for use. 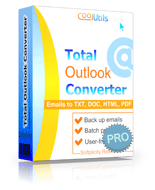 Total Outlook Converter Pro is a batch email processor. It can process all required emails together. Each original message will be exported into a separate JPEG file. However, a combined PST to JPEG conversion is possible too. If to choose this option, all original files will be merged into one JPEG image. Names for target files are also adjustable. The program will name the copies accordingly to a preset template. For example, it can contain a date, subject and ID of the original email. 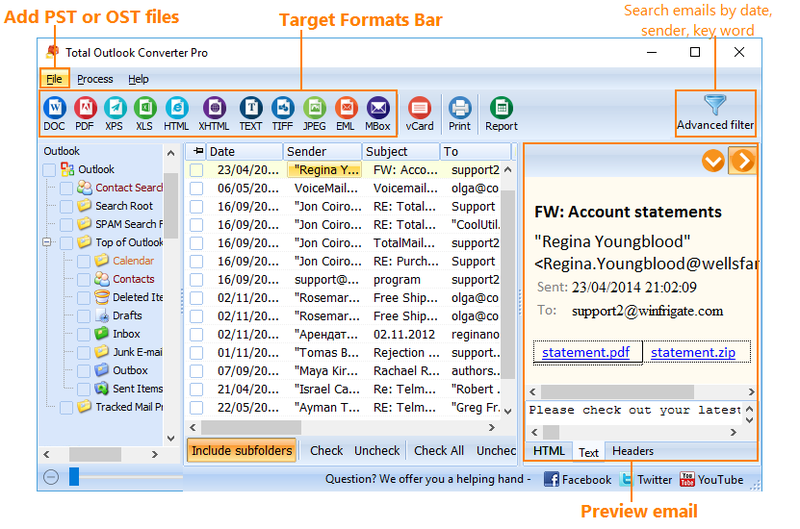 Get Total Outlook Converter Pro for personal use here.